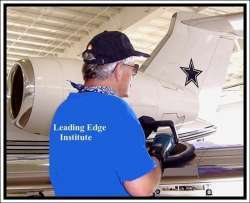 Leading Edge Institute began offering Professional Aircraft Detail Training in 1995. Staffed with industry professionals, the Institute provides a Certification Program for Aircraft Detailers interested in acquiring knowledge for the safe and proper procedures in detailing all aspects of exterior and interiors of piston, turbine and jet aircraft, including helicopters. For more than 23 years, Leading Edge Institute has helped over 500 Entrepreneurs, FBO’s, Flight Departments Charter Companies, and Pilots from all over the world, learn the correct and safe procedures of Aircraft Cosmetic Maintenance. Our 3 Day hands-on Detail Course is staffed with Industry Professionals (Staff) with over 30 years of teaching experience and we offer the course at YOUR LOCATION! 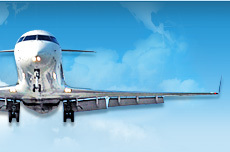 Click on Aircraft Detail Training for course information. After completing the prescribed course, each student will receive a ‘Certificate of Achievement’. If you are starting your new business this Certificate may entitle you to a discount with Major Aviation Insurance providers. 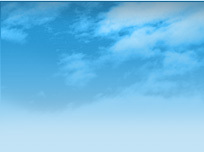 Click on PROMOTIONS to find the best insurance providers offering discounts. 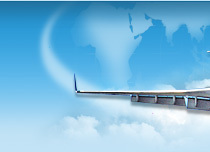 Our Instructors will come to your location and train on your Aircraft.